Summary: Oil painting showing three figures dressed in Scottish dress, at rest, in the Highlands. There are two dead deer, one lay across a white horse. There is a small child with a fishing rod. Description: Sir Edwin Landseer was best known for his realistic, though often very sentimental portrayals of animals. 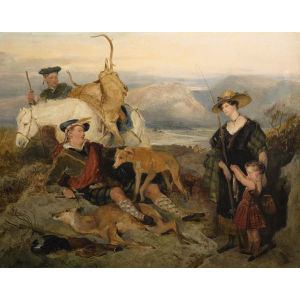 One of his most famous paintings was another Highland scene `The Monarch of the Glen'. 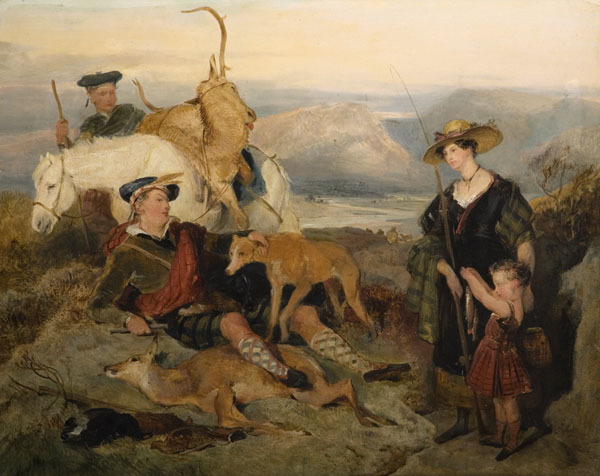 Paintings such as these played a strong part in forging Scottish identity and our ideas about Highlanders.